Experts still do not understand how we store and recall information. Most scientists break memory into three parts. First is working memory (also called scratch-pad memory). This is used to recall phone numbers or other information needed for a short period of time. Then it’s usually forgotten! Mid-range or intermediate memory keeps the information you’ve consciously or subconsciously absorbed within the past few hours or days. It is eventually forgotten, or transferred to long ­term memory – a holdall for anything we consciously or subconsciously think important, and usually related to significant events. Stress is often the culprit for being forgetful, affecting our ability to concentrate, make decisions and remember. Sensory overload may also be a problem – when you are doing too many things at once, you are less likely to concentrate on the details, and the less attention you pay, the less you will be able to remember. 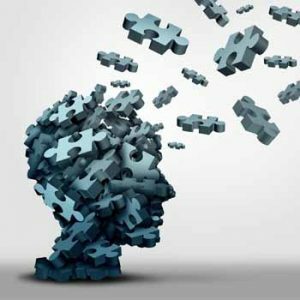 For most people, memory loss never becomes a serious problem, but some diseases, most notably Alzheimer’s, can lead directly to memory trouble. Alcohol abuse and recreational drugs can also affect memory significantly. There is no doubt that both mental agility and memory decline to some extent as we age, but the good news is that this is not an inevitable process. By ensuring that our diets are healthy, and that we get plenty of brain boosting exercise, continue to stimulate our minds and take supplements that enhance brain function, we can stay just as quick witted as we were in our younger years – and maybe even sharper. In the venous system, thus aiding the dynamic clearing of toxins that accumulate when there is insufficient oxygen supply. Ginkgo is clearly implicated in conditions to do with the brain, including short-term memory loss, vertigo, headaches and depression. The memory­ enhancing effects of ginkgo are not limited to the elderly. In a double- 1IIInd trial, the reaction time in healthy Clung women performing memory tests was significantly enhanced after the administration of ginkgo. Take 60 to 80mg three times daily (24% ginkgo flavonglycosides). Alpha lipoic acid is a powerful antioxidant, and has been shown to prevent oxidative stress in nerve tissue. Lipoic acid helps maintain glutathione levels, which are found to be depleted in conditions such as Parkinson’s disease. It appears to have a protective effect on the brain and nerves, as well as the iver, which deals with toxins that can affect our brain function. It’s naturally found in meat and most types of vegetables.Take 200mg to 400mg daily. This memory-boosting substance is common to a number of drugs that are known to stabilize cell membranes. Cell membrane degradation has been proposed as one of the prime mechanisms of ageing. DMAE is normally present in small amounts in the brain and is known for its remarkable brain-enhancement effects. It is naturally occurring in anchovies and sardines, which may explain why fish has often been said to be a ‘brain food’. DMAE works by accelerating the brain’s synthesis of the neurotransmitter acetylcholine, which in turn plays a key role in maximizing mental ability as well as in preventing loss of memory in ageing adults. 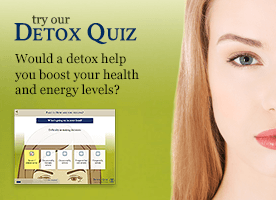 DMAE has been shown to decrease the accumulation of lipofuscin (age spots) within the brain. DMAE is used for treating attention deficit disorder (ADD), enhancing memory and mood, boosting cognitive function, treating Alzheimer’s disease, increasing IQ and physical energy, improving athletic ability, delaying ageing, improving red blood cell function, improving muscle reflex, increasing oxygen efficiency and extending life span. Take 75mg to 150mg daily. As well as their potent antioxidant effects, OPCs (oligomeric proanthocyanidins) help maintain neurotransmitters so that they function longer, and improve the circulation in the brain. The increase in nitric oxide may also improve learning ability and memory through its effects as a neurotransmitter. Take 50mg to 150mg daily. Essential fatty acids are now being recognized as star nutrients essential for optimal brain functioning and as mood stabilizers. Without omega-3 fatty acids (one of the EFAs) brain cells stiffen and inhibit the ‘messages’ that pass between neurons. Shortages of these oils have also been linked to intelligence, learning disabilities depression. What’s more, they enhance cognitive, aural and optic development, which continue throughout life. The best source of these omega-3 fatty acids are avocados, cold-pressed oils like olive, and nuts and seeds such as walnuts and flaxseed. Oily fish such as salmon, herring, sardines, mackerel, pilchards and fresh tuna also contain omega-3 acids. Rosemary essential oil has enjoyed the reputation of enhancing memory for hundreds of years ­hence, rosemary for remembrance. Try a single drop of rosemary on each wrist to stimulate. Peppermint oil is another good choice to stimulate the mind. Oils can also be used to affect your moods, which can affect memory. Antidepressant and cheering oils include bergamot, orange and other citrus oils. Rosemary is great for mental fatigue as well. Virtually any uses of the essential oils, including in baths and massage, will have the desired effect, but a very simple and effective way to use them is to get them into the air – as an room spray (ten drops of one or more oils in 500ml/1 pint of water is a perfect spray) or in a vapourizer.